Stress does not discriminate, it can affect any one of us at any time. It tends to surface when we are exposed to unmanageable levels of mental, emotional or physical strain and can lead to anxiety, depression, insomnia, irritability, drug or alcohol abuse, headaches, back pain and much more. 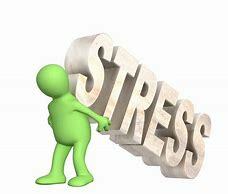 In fact, there have been many reports that stress in children and young adults is very much on the increase. So, what can we do to help ourselves and our children? If you cannot take away the cause of the stress, then breathing exercises, meditation, regular exercise, eating well and finding time to relax will all help. However, there are times when expert help is required. Stuart Walker, Head of Practice at Teddington Osteopaths, is seeing more and more patients suffering from stiff neck, tight shoulders, and back discomfort which can be attributed to the stresses of everyday life. He says “living busy and full lives crammed with experiences and demands, we are all familiar with the effects of stress on our minds and bodies, but there are all manner of treatments that can help to relieve the symptoms”. Assessing the body as a whole, osteopaths aim to address the physical effects of work, stress, and recreation or sports related activities. Osteopaths use a wide range of treatment methods depending on the individual patient including soft tissue massage, stretching and manipulation. Sports massage therapists are skilled in releasing tension in muscles and improving joint range of motion. The aim is to release, stretch and relax the deeper layers of muscle and fascia. Deep tissue massage can help with relaxation and to restore good sleep patterns. Acupuncture therapy has been supported by numerous recent scientific studies. Acupuncture has been shown to raise the levels of specific hormones, prostaglandins, white blood cells, gamma-globulins and anti-bodies generally. The ‘Endorphin’ theory explains how acupuncture can stimulate its own pain killers and ‘feel good’ chemicals. Reflexology is a non-invasive, holistic therapy. It is believed to encourage the body to balance and heal itself thus reaching a state of homeostasis. It involves applying finger or thumb pressure to specific reflexes on the feet and/or hands which mirror the organs and structures of the body. Reflexology is a deeply relaxing treatment which can help to promote a sense of wellbeing and may be of benefit to those suffering from low mood, stress, anxiety and insomnia. Reiki (ray-key) is the Japanese for ‘universal life energy’ and is used to describe a system of natural healing. The method is based on a series of hand placements on or near the recipient’s body. The immediate benefits can include a sense of peaceful well-being both physically and emotionally. For more information on any of the above contact Teddington Osteopaths by phone on 0208 977 3295 or email.